When we go to a hospital or a medical centre, we expect whatever symptoms we are experiencing to improve. We expect the medical professionals to get to the bottom of why we don’t feel well. We expect all surgeries to go to plan, and we expect the hospital staff to treat us right. Usually, this is what happens, but there are cases whereby medical negligence occurs. Medical negligence is when any type of action or inaction has occurred that has resulted in an injury, illness, or condition getting worse. 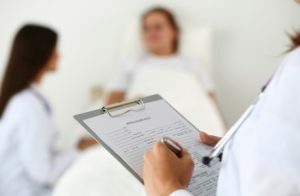 Some examples of medical negligence include late cancer diagnoses, which result in the condition getting worse or becoming fatal, as well as surgical errors that lead to further complications. If you feel that you have been the victim of medical negligence, it is important to align yourself with the best solicitors in your area to give you the greatest chance of winning your case. This is something we can assist with at Legal Expert. For your case to be a success, the solicitors you work with will need to be able to show that you were owed a duty of care by the healthcare professional or organisation you are suing. They then need to show that this duty of care was breached, and because of this you were injured. So, essentially, they need to show that you were owed a duty of care by the healthcare professional or organisation, and that they did not act as they should have, which resulted in your condition deteriorating. If this can be proven, there is a very high chance that you will be awarded compensation for your case. Read on to discover more about medical negligence and working with medical compensation lawyers. you need a solicitor that has a lot of experience in medical negligence claims. If they don’t, they could make a big error, which could cost you the maximum amount of compensation. The medical negligence lawyers you will work with can make a massive difference to your life, so you should never take the selection process lightly. There are a number of different approaches you can use to locate the best solicitors in Nottingham. This includes talking to family and friends who have used the services of medical solicitors Nottingham based before. It also includes reading reviews online to see what previous clients have had to say about the legal firm in question. Make sure you use independent review websites. Most importantly, you need to speak to the experts. Our specialists at Legal Expert know everything there is to know about medical negligence claims and relevant solicitors, so we are best placed to advise you on the right lawyer for your claim. Should I Use Local Medical Compensation Lawyers? In today’s day and age, it is not necessary to work with medical solicitors Nottinghamshire located specifically. You can make the most of services nationwide. After all, there are so many different ways to communicate today, from telephone and emails to texts and video calls. This makes it easy to keep in touch with your lawyer regarding your case. Instead of being restricted to locality, you can make your decision based on experience and reputation. What Medical Negligence Claims Do We Handle? Here at Legal Expert, we handle all types of medical negligence claims. This includes everything from NHS medical negligence to GP negligence claims, as well as dental negligence and care home negligence. For more information about each type of claim, read on. Have you experienced medical negligence in one of Nottingham’s hospitals? No matter whether you have experienced mistakes during surgery, poor treatment, or you have become ill because of a lack of sanitation, we can assist. Not all claims relate to hospitals and doctor surgeries, some people suffer clinical negligence while they are in the dentist chair. This could be anything from a tooth being removed when it didn’t need to be to anesthetic not being administered properly. If a trip to the dentist has made you ill or led to an injury, contact us to be assigned the best solicitors who can cover the Nottingham area. When you are not well, your GP will usually be your first port of call. If your GP has not taken your illness seriously or has diagnosed it incorrectly, you could be entitled to compensation. Work with specialist medical negligence solicitors that cover Nottingham and the UK has to offer by getting in touch with us today. We provide our service nationwide. In terms of how much compensation you may receive, you may have come across a medical negligence compensation calculator online. Please note that these tools only ever provide a rough estimate. All cases are different, and they are treated as such. A late cancer diagnosis or a misdiagnosis can be critical. It can even be fatal in a lot of cases. If you have suffered because of this, you can claim. You can also claim if you have lost a loved one due to cancer negligence. Take a look at our guide on cancer misdiagnosis for more information. If you or someone you love has been the victim of nursing home neglect or negligence, it is important to use claims solicitors in Nottingham to get the justice you deserve. We can also help if the home has failed in providing a primary health need, as well as assisting with infection claims and slip, trip and fall cases. We can also help you to secure compensation for birth injuries. Medical malpractice solicitors in Nottingham, and UK wide can help with all types of birth complication claims. Examples include: infant death, umbilical cord problems, injuries to the mother, ruptured placentas, cerebral palsy, and Erb’s Palsy. When you work with Legal Expert, you can be certain a No Win No Fee medical negligence Nottingham service. What makes No Win No Fee solicitors covering Nottingham different? Well, they will only accept payment off clients if they secure compensation for them. This means that, if for some reason, your case does not go the way it was intended, you won’t have to pay a penny in terms of legal fees. This ensures you do not end up out of pocket, while also removing barriers to entry, meaning anyone – no matter their financial situation – can make a claim. Making a clinical or medical negligence claim does not need to be difficult. For more information on working with medical claims lawyers or to get your claim up and running, please do not hesitate to give Legal Expert a call. We are open seven days a week, from 9 am until 9 pm. The number you need is 0800 073 8804. You can also request a callback via our website.